It’s not just a gym. It’s a lifestyle. ALL PROCEEDS TO BENEFIT THE SPORALSKY FAMILY. 8 week summer sports conditioning and performance program for competitive athletes U12+. Bored with your normal exercise routine? No longer achieving the results you desire? Looking for expert coaching and motivation? Take your fitness to the next level while getting stronger, faster, leaner and harder to kill! CrossFit classes offer a challenging combination of barbell, cardio, dumbbell, gymnastic and kettlebell movements guaranteed to keep it fresh and fun. Like Bootcamp, but better! These high-intensity interval training workouts are guaranteed to make you break a SWEAT in 45 minutes or less without the barbell. If you’re looking to get toned, this is the class for you! These core-intensive, cardio-heavy, fat-blasting sessions don’t require any prior CrossFit experience and all fitness levels are welcome. The Incendia Barbell Club is the longest running USA Weightlifting Club in the Northwest Valley. Led by nationally-ranked weightlifters, you’ll have the opportunity to work with the most experienced lifters and weightlifting coaches in the Valley. From Barbell Basics (beginner instruction) to Barbell Babes (lifting for the ladies) to Teen Weightlifting (small group instruction for ages 12+), we’ll get your lifts all dialed in. In addition to our regular CrossFit and SWEAT Classes, all Incendians can attend our Barbell Babes, Barbell Basics, Barbell Club, Endurance, Functional Bodybuilding, Gymnastics, Mobility, Open Gym, Pilates, Strongman and Yoga – FOR FREE – as part of their Monthly Memberships. Looking for a 1-on-1 experience? Is there something special you’re training for like Obstacle Course Racing? Need some help with your Olympic Lifts? Gymnastic Skills a little rusty? Is Running a nightmare for you? Not ready for Group Classes? We’ll match you up with one of our experienced coaches who has the experience to help get your ready for whatever you are training for! We invite to you to CrossFit Incendia for a FREE trial class. Come and explore the benefits of CrossFit and what Incendia has to offer. Just arrive 15 minutes early to any CrossFit class. We are excited to offer a designated KidCare Center for all Incendia members so you can get your WOD on stress-free! Kids can hang out, watch TV or play with their electronic devices in our climate-controlled kiddie room while you workout. In addition to our regular classes, all members can attend Barbell Basics, Barbell Club, Endurance, Gymnastics, Open Gym, Strongman and Yoga – FOR FREE! 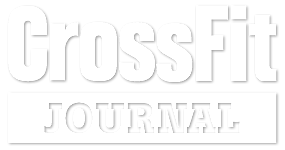 Hands down, the most important aspect of any CrossFit box is the Community. Inside our walls, you will meet some of the most amazing people you will ever know and may have never had the opportunity to meet otherwise. The community aspect of CrossFit is what motivates us and keeps us coming back day after day. People from all walks of life call Incendia home. Firefighters, police officers, military, students, soccer moms, doctors, nurses, teachers, real estate agents, and grandparents (among others) WOD at Incendia on a daily basis. Have you ever known what it is like to have several hundred new best friends all at once? NOW YOU DO! Merry Christmas from CrossFit Incendia!